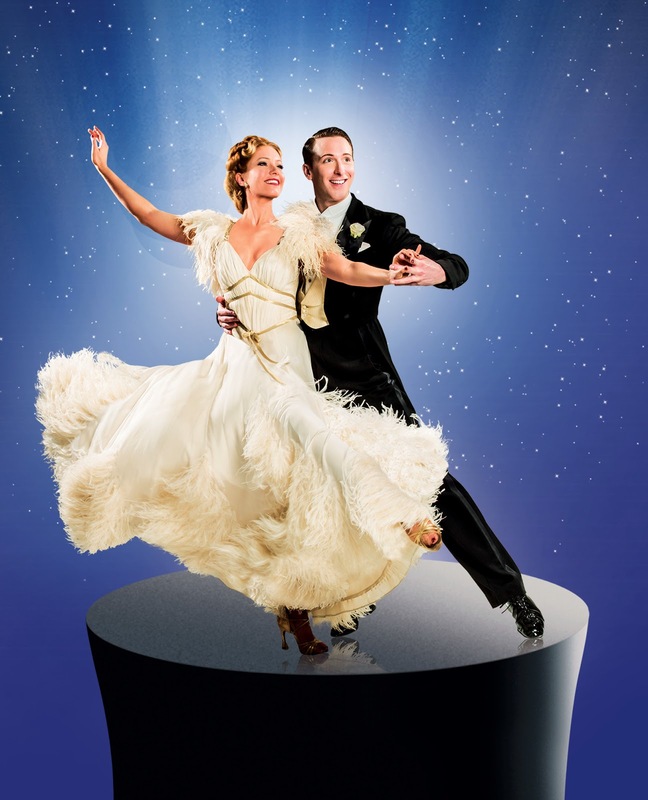 Glamorous and glorious Top Hat, winner of three Olivier Awards, for ‘Best New Musical’, ‘Best Choreography’, ‘Best Costume Design’ and the Evening Standard Award for ‘Best Night Out’, will waltz into Newcastle Theatre Royal for the first time 9 – 20 September. Get ready to put on the glitz! 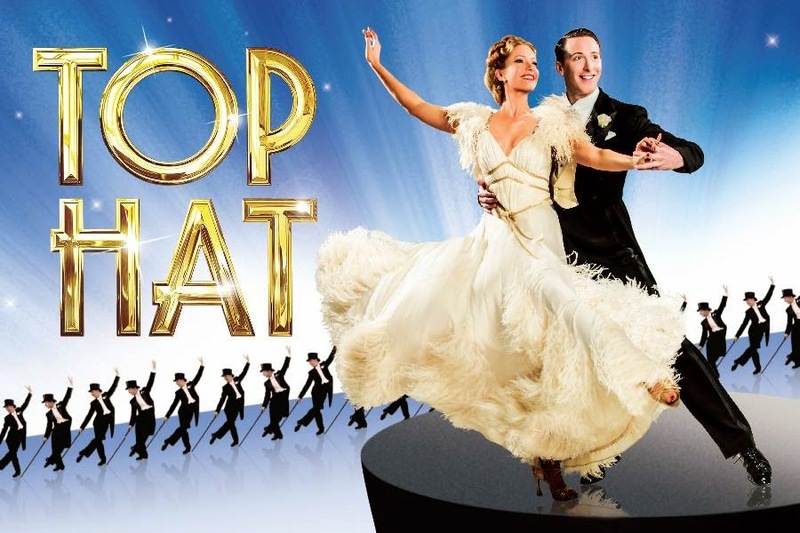 Based on the 1935 film of the same name, Top Hat is packed full of Irving Berlin’s greatest hits and brings the glamour of old Hollywood and tap-dancing magic of Fred Astaire and Ginger Rogers live onto the stage. The production is very fresh – the world premiere opened in the West Endat the Aldwych Theatre in May 2012 where it played over 600 performances during its two-year run. Jerry Travers, the famous American tap dancer, arrives in London to appear in his first West Endshow. Travers meets the irresistible Dale Tremont, the girl of his dreams, and follows her across Europe in an attempt to win her heart. 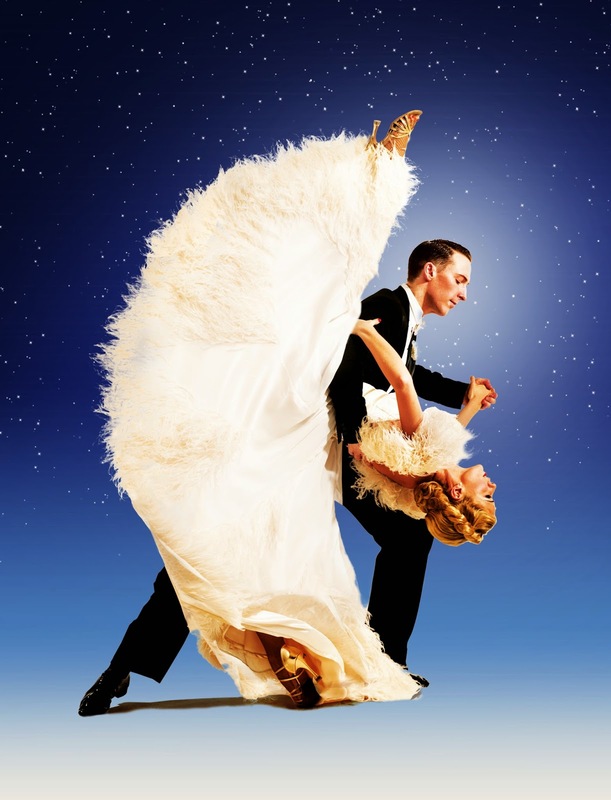 The result is an uplifting and hilarious romantic comedy celebrating 1930s song, style and romance, and dazzling with over 200 beautiful costumes and breathtaking dance routines. 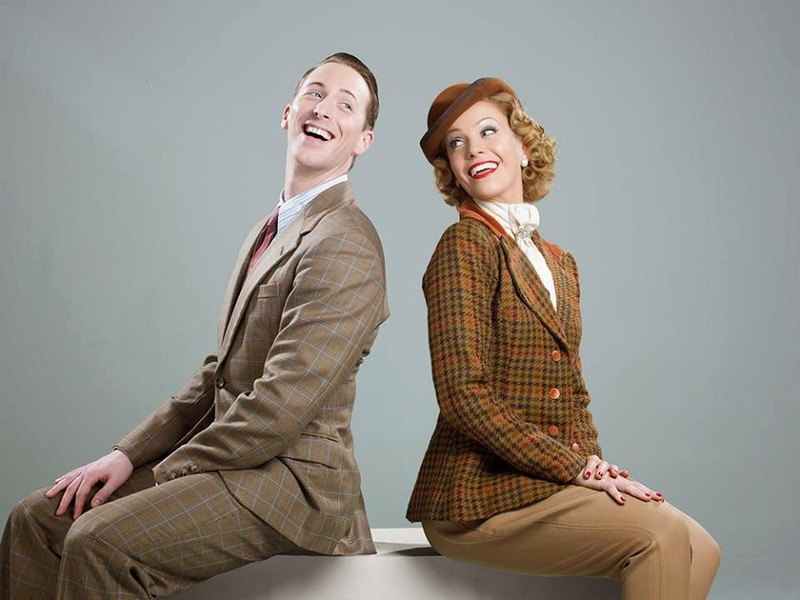 Stepping into the shoes of Fred Astaire and Ginger Rogers in the lead roles of Jerry Travers and Dale Tremont, are Alan Burkitt and Charlotte Gooch, who both return to the show having previously performed these roles in the West End. They are joined by Clive Hayward who returns as Horace Hardwick, the role he played in the West End, Rebecca Thornhill as Madge Hardwick, Sebastien Torkia as Alberto Beddini and John Conroy as Horace’s valet Bates. The screenplay by Dwight Taylor and Allan Scott has been adapted for the stage by Matthew White and Howard Jacques and is presented by arrangement with RKO Pictures LLC, Warner Bros Theatre Ventures Inc. and the Irving Berlin Music Company. Top Hat is directed by Matthew White and choreographed by Bill Deamer (Olivier Award winner for Best Choreography), set designs are by Hildegard Bechtler (Olivier Award nominee for Best Set Design), costume designs by Jon Morrell (Olivier Award winner for Best Costume Design), lighting design by PeterMumford, sound by Gareth Owen (Olivier Award nominee for Best Sound Design), new orchestrations by Chris Walker and musical supervision by Richard Balcombe. Alan Burkitt started his career winning the All England Tap Dancer of the Year award. A member of the original West End cast of Top Hat at the Aldwych Theatre, Burkitt understudied the lead role of Jerry Travers for both Tom Chambers and Gavin Lee. He received rave reviews when he stood in for Lee on press night, a success story documented by Channel 4 for the TV series ‘The Sound of Musicals’. Other recent stage credits include: Singin’ in the Rain, Andy Lee in 42nd Street(Chichester Festival Theatre), the Prince in Adam Cooper’s Shall We Dance (Sadler’s Wells), Cats (German Tour) and We Will Rock You (Dominion Theatre). Charlotte Gooch took over the lead role of Dale Tremont from Summer Strallen in the West End, performing alongside Tom Chambers as Jerry Travers. Gooch performed the lead role of Penny Johnson in Dirty Dancingin the West End at the Piccadilly Theatre and also in the original national tour. Other recent stage credits include: the lead role of Sandy in Grease(UK Tour), Cats (German Tour) and the workshop of Swing Time, dancing a duet with Anton du Beke. (Evenings: 7.30pm - no performance 15 Sep, Matinees: Wednesday & Thursday 2pm and Saturday 2.30pm).